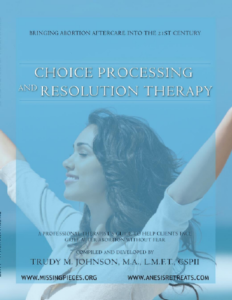 Choice Processing and Resolution Therapy is a professional therapists guide to helping clients face grief after abortion without fear. This e-book is a compilation of years of experience working with women to help them resolve a past voluntary pregnancy termination. The first part of the book explains in great detail why professional therapists should get involved in this issue. 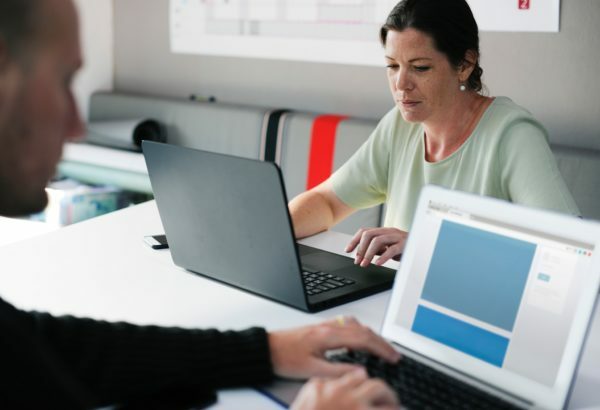 There is a clear message of how a “vpt” should be assessed for, why it should be considered and how it affects therapy outcomes. 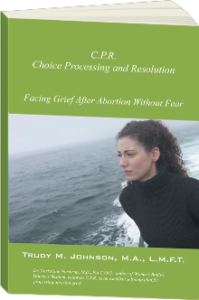 The second half of the book gives a concise treatment plan to walk clients through the grieving process of abortion. 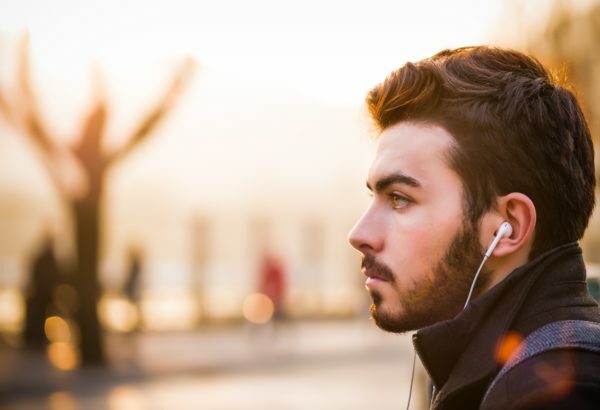 Go to www.yourtango.com to read Trudy’s articles about Grief after Abortion. Trudy is the “Your Tango Expert” on grief after abortion.